There are a lot of reasons to hate summer in Florida. The number one reason is, of course, that living in the subtropics in the summer months is something akin to making your dwelling on the surface of the sun. Only with more humidity. 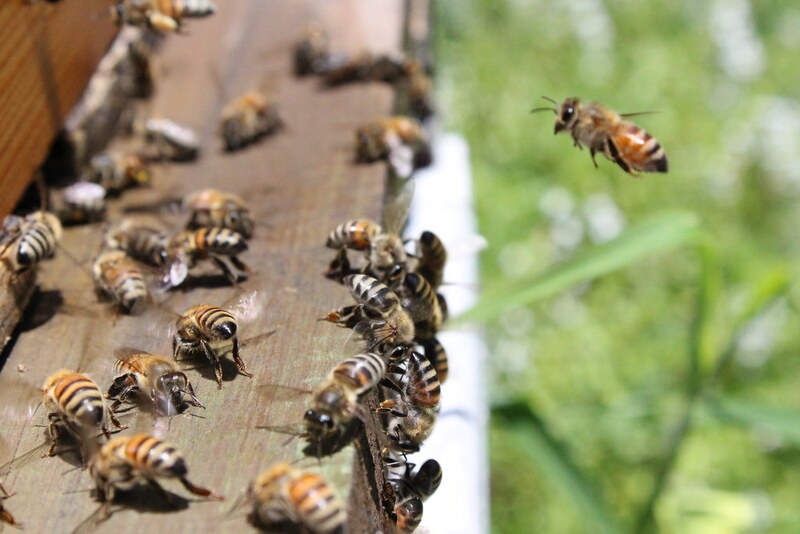 But even if we wimpy humans don't care too much for the sweaty sultry summers, there are lots of other living things that seem to really dig the heat. Like my flowers. The angel's trumpet that started as a six-inch cutting last winter is now taller than me and starting to make its first humongous, peach-tinted flowers. These flowers are about 9-11 inches long! I love the way they look, like a girl in a pretty dress twirling around. 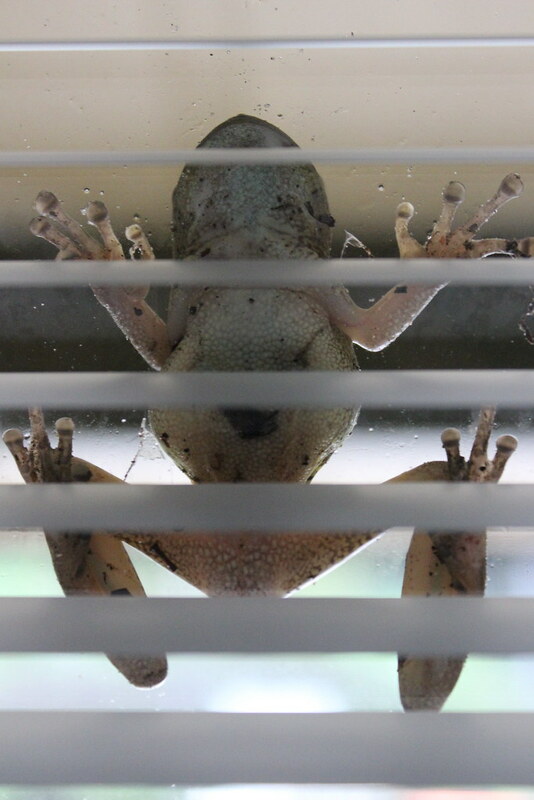 The frogs love the wet weather and take every opportunity to attach themselves to our windows, doors, light fixtures, and occasionally my head. I admit, I scream like a little girl when that happens. The bees are doing amazing, necessitating the building of this giant "bee condo" as our friend called it. A few weeks ago my husband extracted our first real haul of honey. We got four GALLONS from one box alone. The other box we left for the bees to eat. 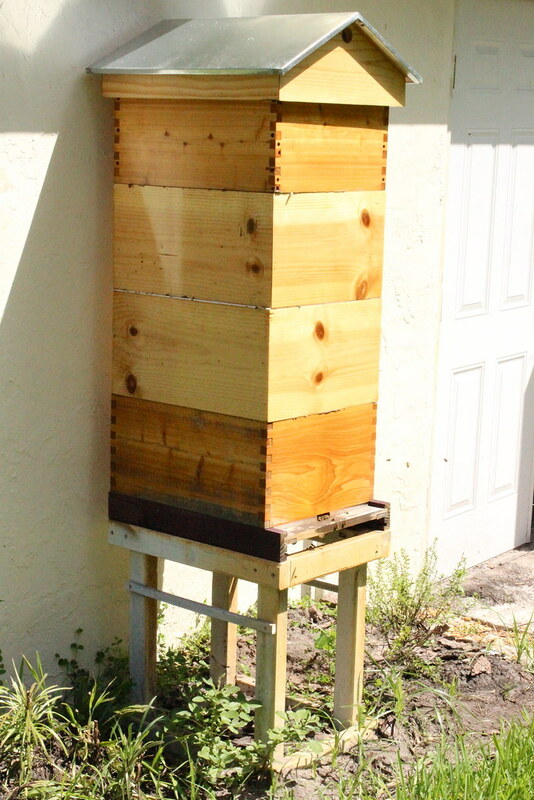 That hive is doing so well that yesterday my husband made a split--if all goes well we will have three hives soon! My compost pile is also digging this wet hot weather. The other day I was marveling at how fast it's all breaking down, and then I noticed some wriggling action going on in there. Curious, I did some research and discovered my whole pile is full of black soldier fly larvae, which are super beneficial little bugs to have around. 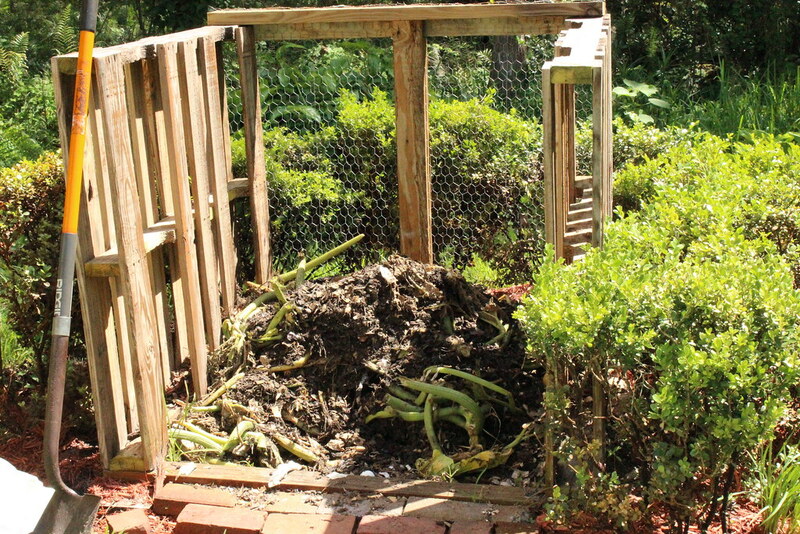 They turn poo and food into garden gold, and can be fed to chickens as well. Score! 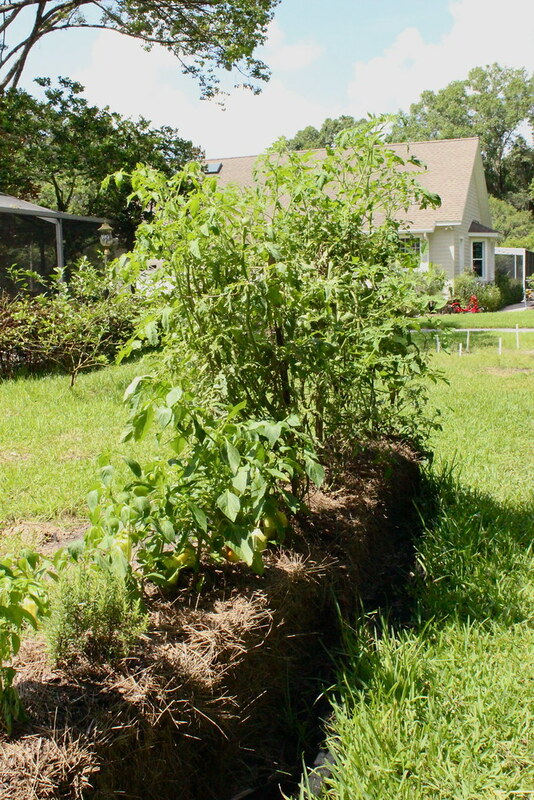 The tomatoes in my hay bale garden are very happy. I did have a massive zucchini plant growing out of the side of the bale until very recently, when it suddenly dropped dead overnight. I discovered a MASSIVE fire ant colony around the roots--apparently they tunneled right through the roots and killed the thing dead. Up until that point, however, it was the best zucchini plant I've ever grown. But it had a good season before it kicked the bucket, and now it's compost, so that's still happy. 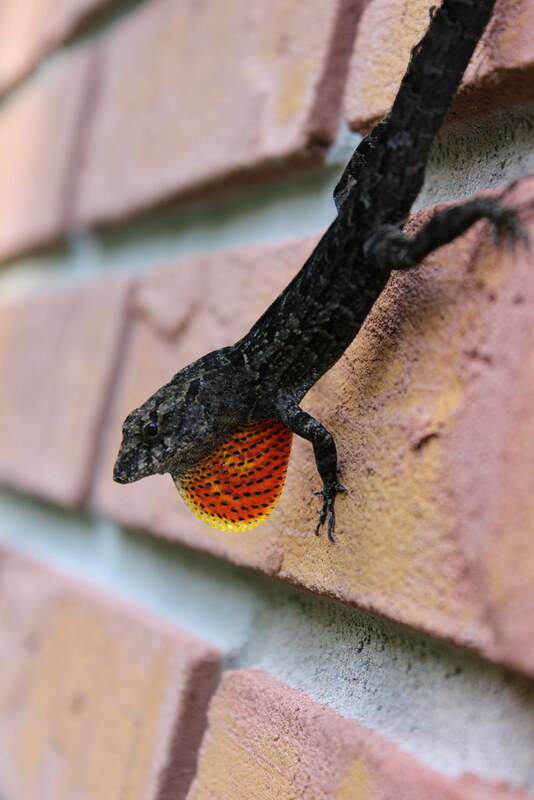 This lizard seems pretty happy. 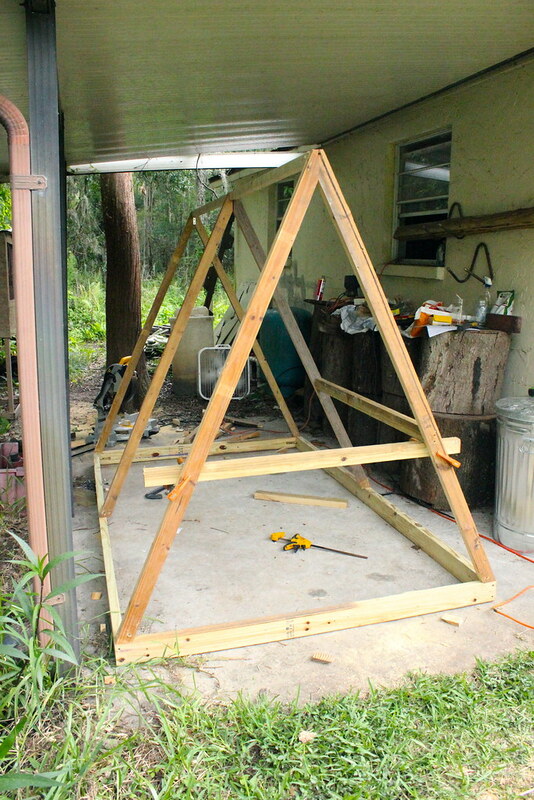 And lastly, my super handy husband is finally building my chickens a legit chicken coop. I'm pretty excited about this and I know they will be too. I can't wait to see it all come together! It's all so exotic looking from wet (and cold today!) Scotland. 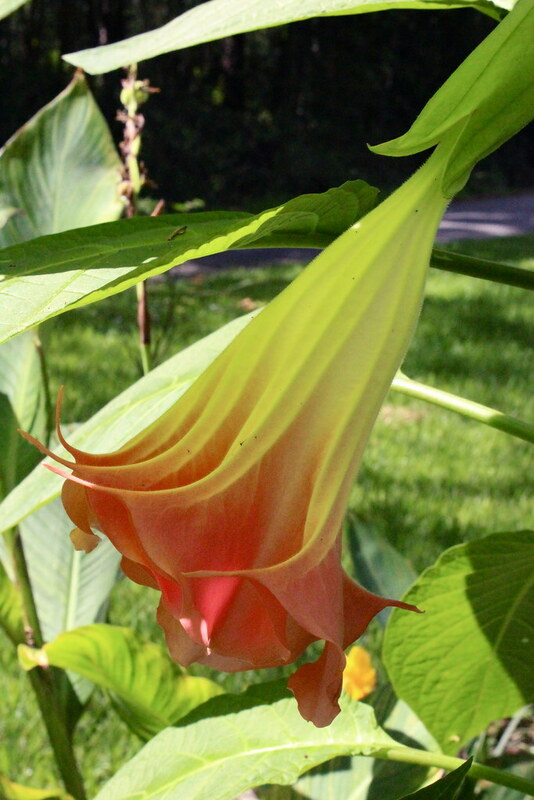 Those angel trumpet flowers are amazing!! This post DID make me a little happier. Beautiful pictures. Lots of successes. Yay!